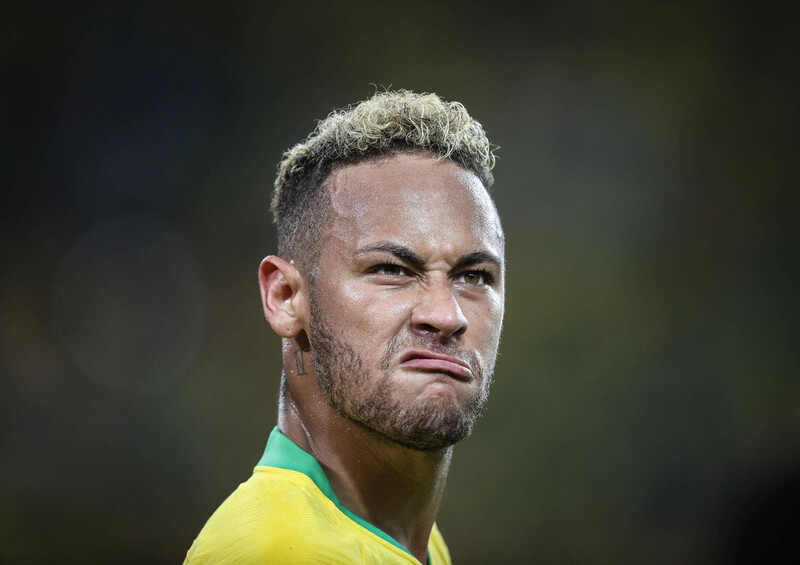 Ricardo started his career as a photographer in 2003 and since then he has already covered three FIFA World Cups, one edition of the Olympic Games, as well as several professional football matches in more than 17 countries. Currently, he is an independent photographer, focussing on publicity and advertising, as well as on a project on the production of photographic content for footballers. We have invited Ricardo over to tell us a bit more about his work process and also the story of what was produced during the FIFA World Cup. 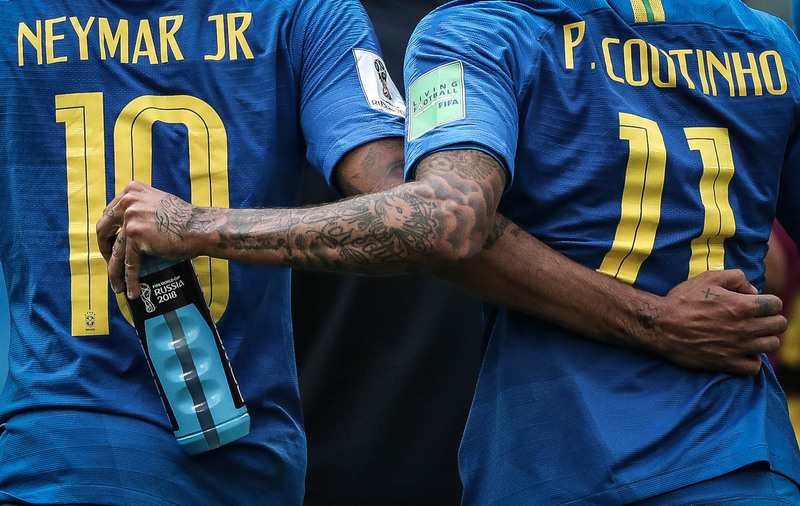 The World Cup is an event in which few details pass by unnoticed. Everything is broadcasted and photographed. 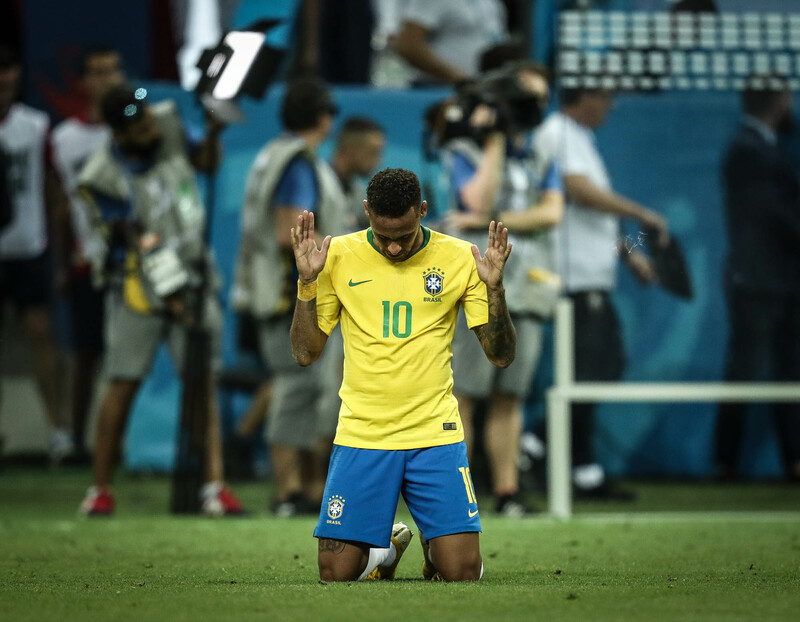 Someone with a mobile phone in a more privileged view sometimes can take an impactful picture that marks the World Cup. How should the photographer work in order to continue being relevant in this scenario? I believe that the photographer always needs to specialize in the subject that he/she is photographing. In my case, I try to know the most I can about the teams, tactical schemes and, above all, the features of each athlete: in which field position he plays, in which direction he sidesteps, how he celebrates the goals he scores and so on. These details can make the difference and allow the photographer to “see” something nobody sees. The photography of an event as this one seems to be an issue of opportunity rather than something more programmed. How does it feel to watch the match with this more attentive view of the match’s details? Surely the level of attention during the matches is much more accurate. Every time the photographer has the sensation that something historical is about to happen and he needs to be ready. However, I do not try to put all this pressure on my work, no. That is because I believe that it is more of hindrance than a help. Ideally is to regard each match as another match and to focus on producing good material, preferably by applying my photographic language. 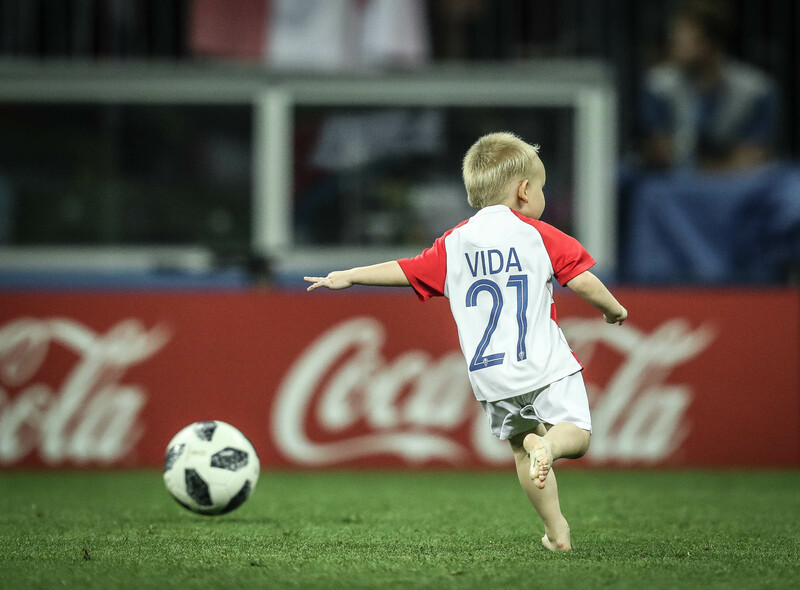 Tell us a bit more about one of the photos you took during the 2018 FIFA World Cup in Russia and its story, about the moment of capturing it. I liked a lot the photo of the French players raising the cup. Because of its symbolism, its plasticity, its light. Frankly, I was not expecting much from this moment. The award of a sports event is most of the times something square, old-fashioned, that is why I always have to do something, try something different. During this World Cup, I worked with a 600mm, a wide-ranging lens. My idea was to use it also during the time of the award and try to position myself in a different angle, unlike the other photographers. This way, I positioned myself more to the side and I waited. It took a long time for them to bring over the cup, and the rain was pouring down! I took shelter on the bench for some minutes to see if the rain got lighter. As it did not happen, I waited there until the very last moment to leave the bench and to position myself again (I was worried about my equipment). Therefore, when the cup was brought over, I took the photos and went directly to the pressroom. Everything was very fast and I could only see what I had done some minutes later when I opened the images on my laptop. "After having acquired some experience, I realized that I could convey through my photos the way how I had watched the match." How can you differentiate your work from the other photographers’ in the field? 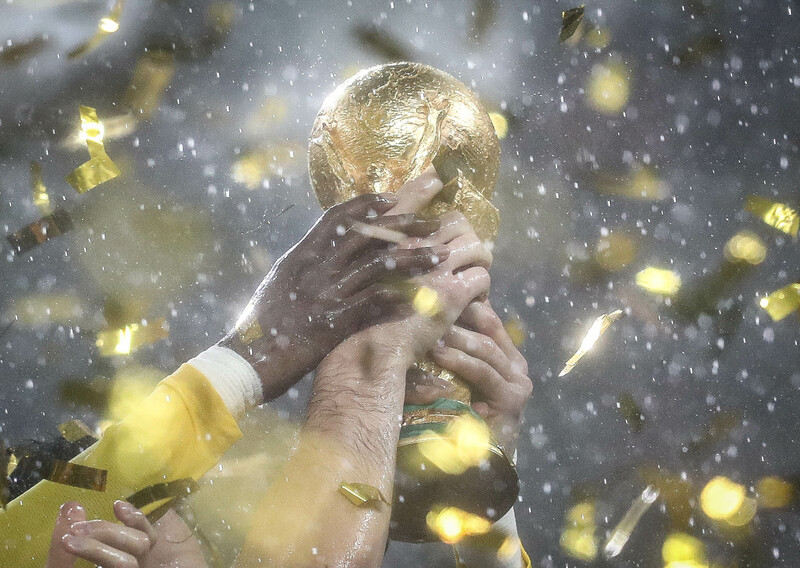 I think that photographing a World Cup is the pinnacle of any football photographer’s career. That is why, if you have this opportunity, you must try to “leave your mark”. Moreover, there are more than 200 photographers in a match, positioned side-by-side, shoulder by shoulder, all of them with the same cameras and lens – that is: probably the photos taken will be similar. That is why, I always try to make something different, with a specific lens (as I said, I used a 600mm a lot, while most of the other photographers used the 400mm or the 200-400mm). I also used a 50mm with a wider opening for closer shots. Besides that, due to this work that I had developed with the athletes, I spent a long time focused only on some athletes during the matches. That allowed me to produce a more differentiated material, richer in terms of details, with photos focusing more on these players. Was there anything that you saw and could not photograph? Some things, yes. 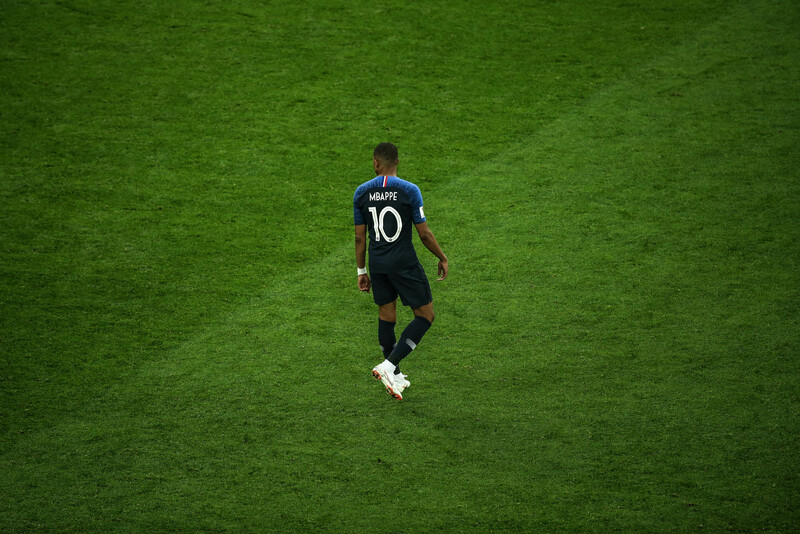 I think that the photo that I saw, but did not take, was the one of the French players raising their coach, Didier Deschamps, after the end of the match. I was taking a photo of a fan in the grandstand, and when I turned to the field, the scene was already over. In your profession, you deal on a daily basis with the image of athletes, which are winging their way around the world and often convey a message, a value. 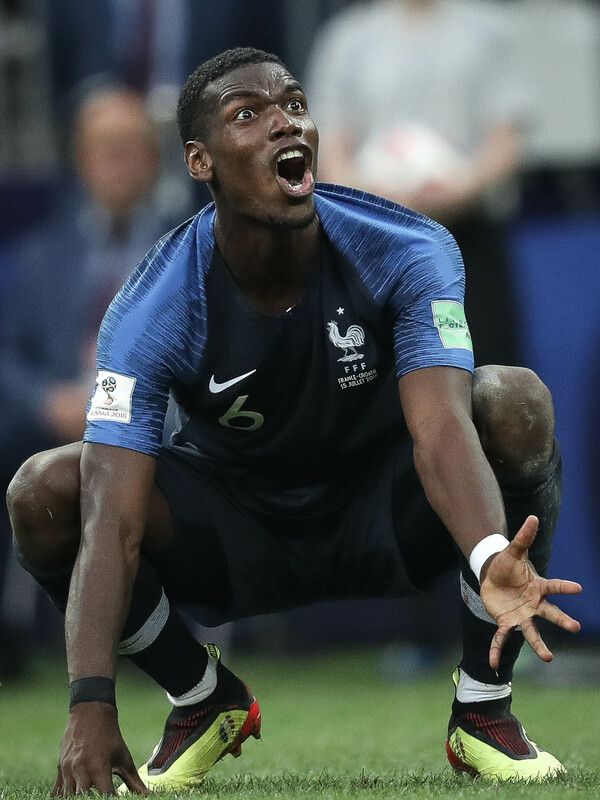 In your opinion, which player leaves the World Cup with a more valued image? Which photo/picture reflected this valorization? In addition, on the other hand, who left with a bad image and which photo would represent that? 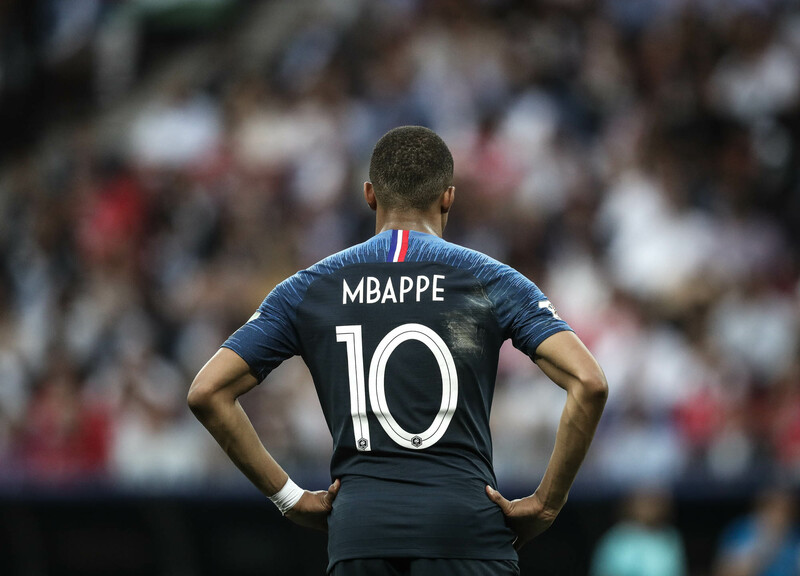 I think Mbappé left with a better image, because he has become a champion and the fact he is only 19 years old and played very well throughout the World Cup. There is a photo of him, which I like a lot, I took this one from above, during the match against Belgium, when I was working from the grandstand. 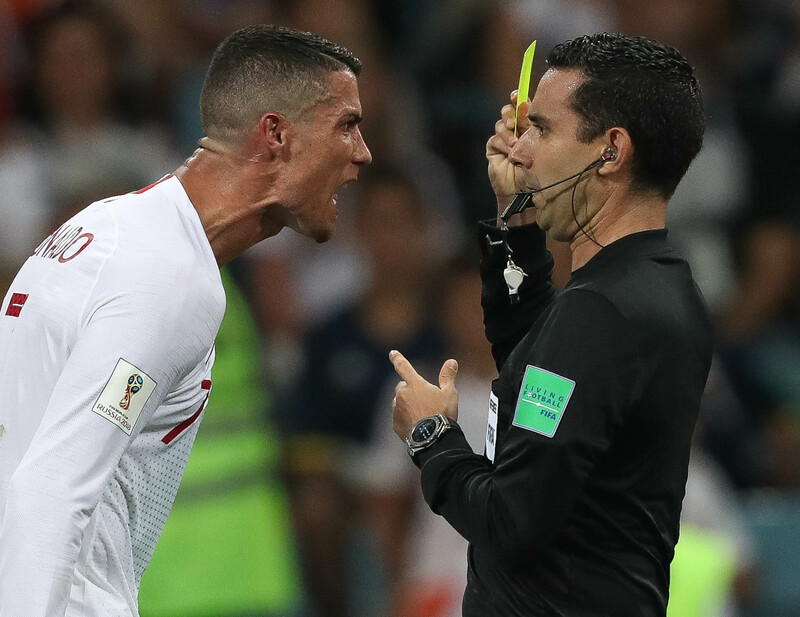 I have a photo of Cristiano Ronaldo that I think represents well a defeat scene, but I do not believe he left the World Cup with a bad image. 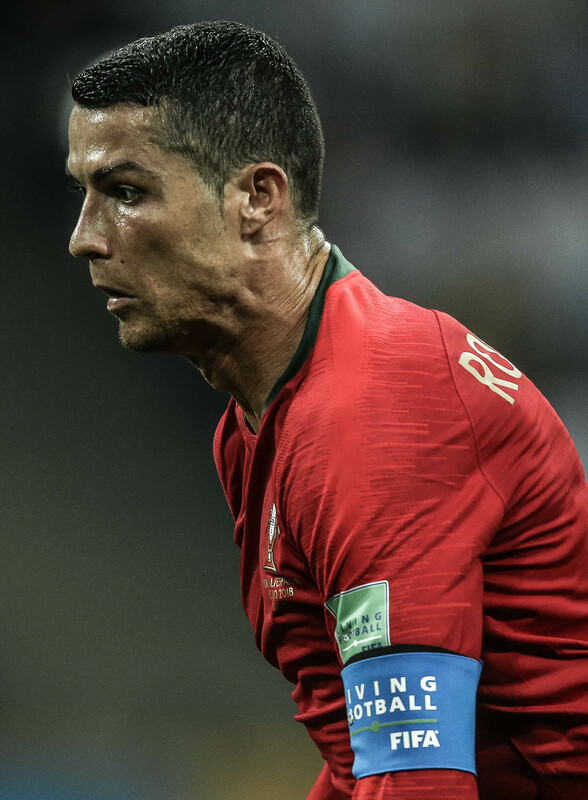 Maybe because this was his last chance to win a World Cup, his image can be regarded as one of a super victorious athlete who could not become world champion. Nevertheless, he played very well throughout the championship. What is your post-production photo process? Tell us more about how you deal with it and what is the importance of this post-production for the publication of your photos. This process is simple, even because it has to be very fast. Most of the times, the edition and treatment of images is performed right there, in the field, during the match. Therefore, I try only to perform a quick treatment and some basic adjustments when I’m working for some newspaper or image agency. When I am photographing for the athletes, I have the chance to perform a more thorough post-production, because I am not on a hurry to deliver these photos. How would you compare the World Cup in Russia with the one in Brazil four years ago? Which one was more interesting, in and out of the field? 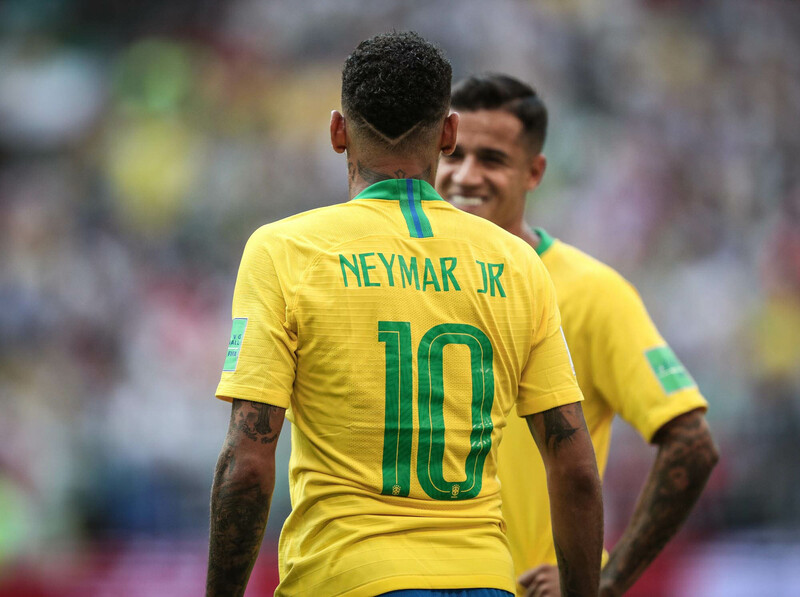 The World Cup in Brazil was very good. I had the chance to travel to several cities and the weather was always great. Nevertheless, the World Cup in Russia turned out to be a very positive surprise. The fans atmosphere in the cities, especially Saint Petersburg, Sochi and Moscow (where I stayed the longest) was also amazing. Inside the field, both worked out very well. 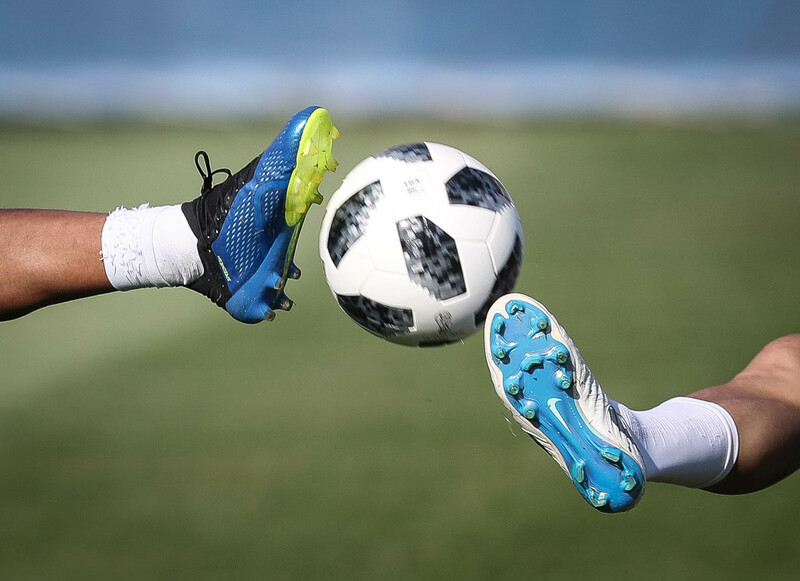 What is your perspective in terms of the coverage of an event such as the World Cup and other sports events? What is your assessment of the coverage level and interest in a Brazilian championship, for example, when compared with other events you covered? I do not think it’s even possible to draw such a comparison. 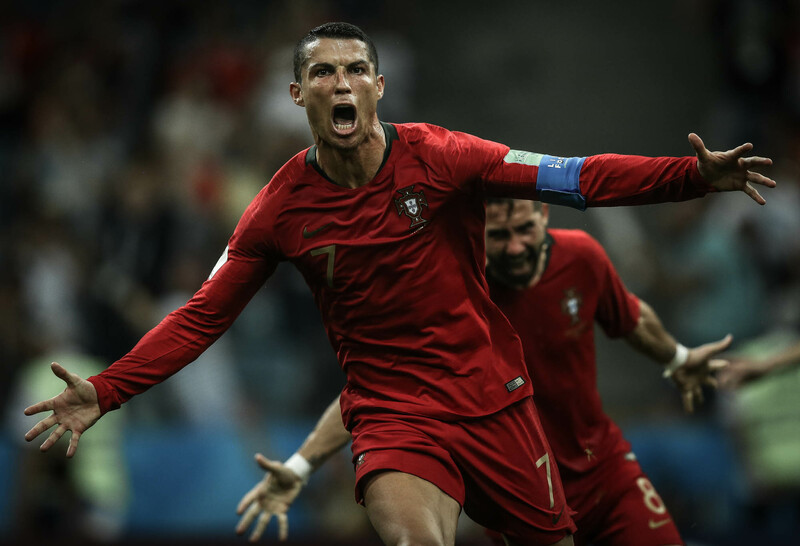 The World Cup gathers in one month the best players in the world, the best teams and, consequently, the level of coverage and audience is enormous. Specially, I could notice this with the growth of the number of followers that I had in my social networks at the time. Tha is quite impressive (laughs). Do you believe that the fact of a photographer is a fan and an expert in the sport contributes to the outcome of your photographs? If so, how? I believe so. Since my childhood, I have practiced these sports and have always been crazy about football. I played indoor football until I was 17. When I started my study of Journalism, I discovered photography. In this sense, it was almost natural to join these two passions. I find it breathtaking to be in the field, photographing a match. After having acquired some experience, I realized that I could convey through my photos the way that I had watched the match, how I had perceived the whole match. For me, because of the fact that I know football and have followed the matches all my life – and because I really like what I do -, the outcome of the photographs is usually satisfactory.